The Fintastic Voyager is a traveling show housed in an Airstream trailer. Cinnabar developed, fabricated and assembled the detailed, robust interiors of this trailer in 6 weeks, working closely with the award-winning San Francisco-based design firm Engine Company 1. 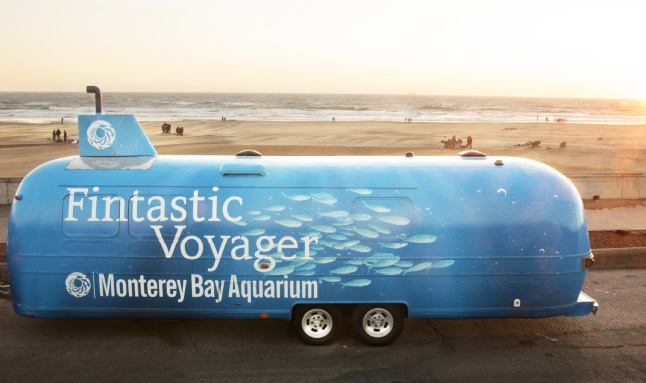 The trailer, dubbed the “Fintastic Voyager,” will travel the Bay area and Northern California, providing guests with an exciting immersive experience about mysterious marine creatures housed at the Monterey Bay Aquarium. 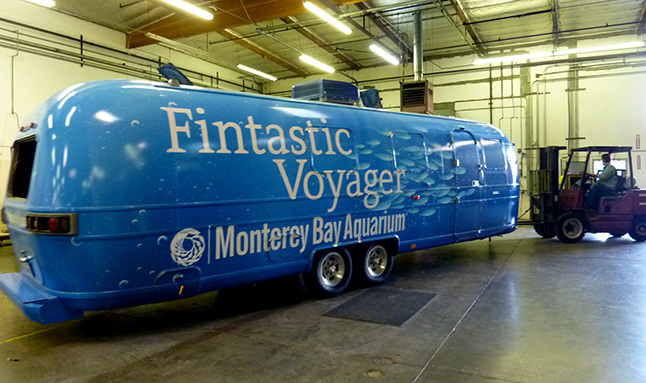 The trailer tantalizes visitors with a glimpse of the Monterey Bay Aquarium’s collections and will draw new guests to this world famous aquarium. 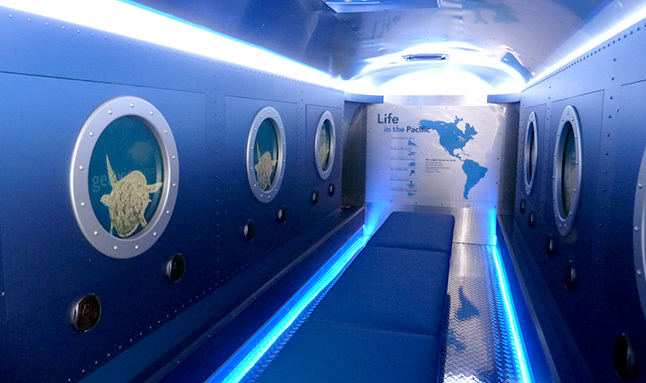 The trailer interior was custom fabricated by Cinnabar to evoke the inside of a submarine. 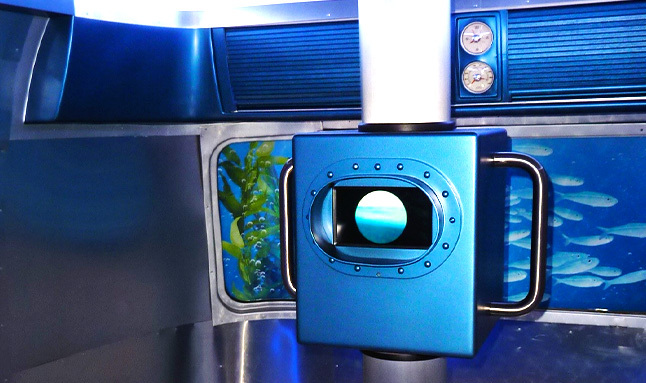 Cinnabar remolded an existing Airstream trailer, removing the interior and replacing it with custom submarine-like flooring, aluminum wall cladding, seating, extensive show lighting, wireless broadband technology, an “Otter spotter” periscope, and custom cabinetry with porthole monitor backed windows that play the media show submerging the Sub and featuring creatures of the deep.